After talking with many male leaders who wanted to develop the female talent in their churches, and even more female leaders who felt under-recognized, under-developed, and under-resourced, Kadi set out to figure out how to bridge this gap. Based on interviews with 30 high level female church leaders and over 1200 women in ministry leadership, Kadi has uncovered eight “best practices” churches can implement to navigate the mineflelds and release the potential of women leaders in your church. Are you trying to navigate the minefield about women leading in ministry? 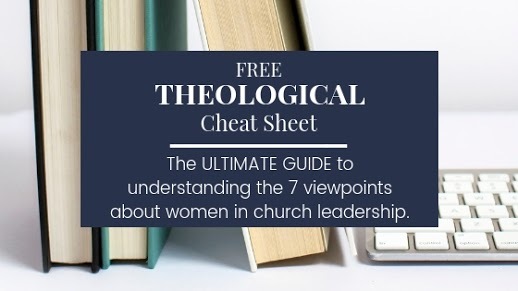 This free companion guide to Kadi’s book, Developing Female Leaders, will help you understand the various theological viewpoints of women leading in church, home and community. In this podcast hosted by Jimmy Scroggins, Lead Pastor of Family Church in South Florida, Kadi shares her knowledge, thoughts and insights about the current state of the church multisite movement, some of the tensions and challenges multisite can bring to a staff team, and key factors any church should consider before going multisite or continuing to launch more campuses. If you are a female leading in ministry of any kind and at any level, this Facebook Community Group is for you! One of the biggest challenges for women who lead is having enough female role models and personal support. We are growing community of cheerleaders, friends, advice-givers, encouragers and all-around smart, godly women who are committed to helping each other fully fulfill all the callings God has given us. This is a private, closed group, but we want you to be a part of it, so please request membership! In this podcast hosted by Dawn Sadler, Kadi talks about how she discovered God’s purpose of her life not in spite of, but because of, a series of tragedies that she walked through in a specific season of her life. Kadi’s story is filled with warmth, wisdom, resilience and humor. As a Leadership Coach, she also offers practical advice about what to do when we feel stuck or as though our dreams have been put on hold.